A British copywriter stays for a week at his composer friend Oskar's elegant, ultramodern apartment in a glum Eastern European city. The instructions are simple: feed the cats, don't touch the piano, and make sure nothing harms the priceless wooden floors. Content for the first time in ages, he accidentally spills some wine. Over the course of a week, both the apartment and the narrator's sanity fall apart in this original and "weirdly addictive" (Daily Mail) novel. As the situation in and out of the sleek apartment spirals out of control, more of Oskar's notes appear, taking on an insistent - even sinister - tone. 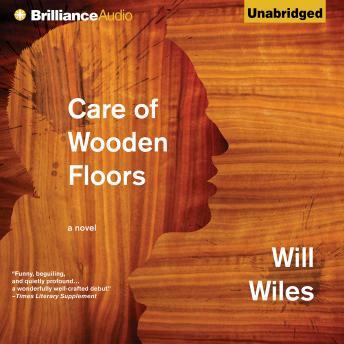 Care of Wooden Floors is a must-listen for anyone who's ever bungled a housesitting gig, or felt inferior to a perfectionist friend - that is to say, all of us.